Happy New Year! We’ve been incredibly busy at our HQ preparing for a huge range of events from small gatherings to enormous office parties and even supplying entertainment for Christmas Light Switch On events throughout the UK. Now we’re into 2018 it’s about time we did our first offer of the year and what a saving it is! We’re giving all our customers who book events in January 2018 a massive 20% off their entire order. As we’re doing this until the end of Jan we thought we’d give you some inspiration for some of our most popular products! Remember ‘Get Your Own Back’ the 90’s, early 00’s, TV programme presented by Dave Benson Phillips? Two teams used to play for points in order to get the privilege of revenge on their selected adult (Usually a school teacher) and drop them into the gunge tank at the end of the show. The kids who appeared on here were the envy of the playground as every kid would love to gunge an adult or two. Anyway, you might have grown up but the thought of gunging someone may well still be appealing and this is why our gunge tank is very popular. We’ve been taking the tank to large corporate fundraising events, local community events and fun events for brands such as Npower. The gunge tank doesn’t take up much space, but it does require a little more room as a potential ‘splash zone’, and comes with over 50 litres of green gunge ready to cover the unfortunate contestants from head to toe in seconds. As we follow along with the theme of wanting to be on an old school TV programme, another one of our most popular products is the cash grabber. The difference between this and the Crystal Maze is that you’re unlikely to have to endure numerous challenges and lose all your mates before you can step inside and try to catch as many flying notes as you can. The cash grabber is one of the most popular corporate entertainment products we have in the showroom and it creates a serious amount of engagement when people walk by. As a show stopper, we always recommend cash grabber hire for clients who want to utilise data capture and have a fun activity that is likely to be unique to the rest as well as giving away branded prizes in return for the best cash grabber who steps foot inside. 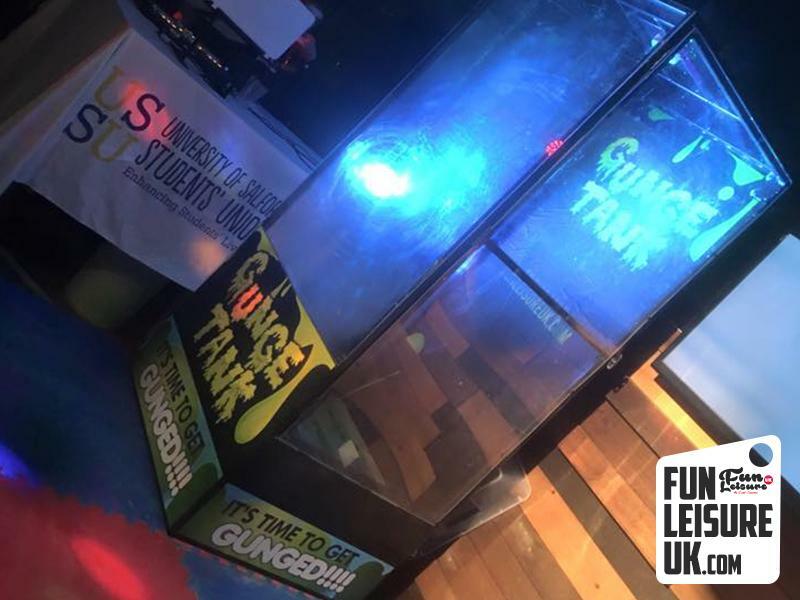 Similarly to the gunge tank the cash grabber doesn’t take up much space and with a massive 20% off the cash grabber is even more affordable for your event, corporate or otherwise. Photo booths have been around for quite some time in the entertainment world and many variations of them are available. Whilst we also do photo booth hire we are now specialists, and developers, of the selfie mirror. Based on the same concept of a photo booth the selfie mirror is a piece of equipment perfect for capturing group pictures at events. 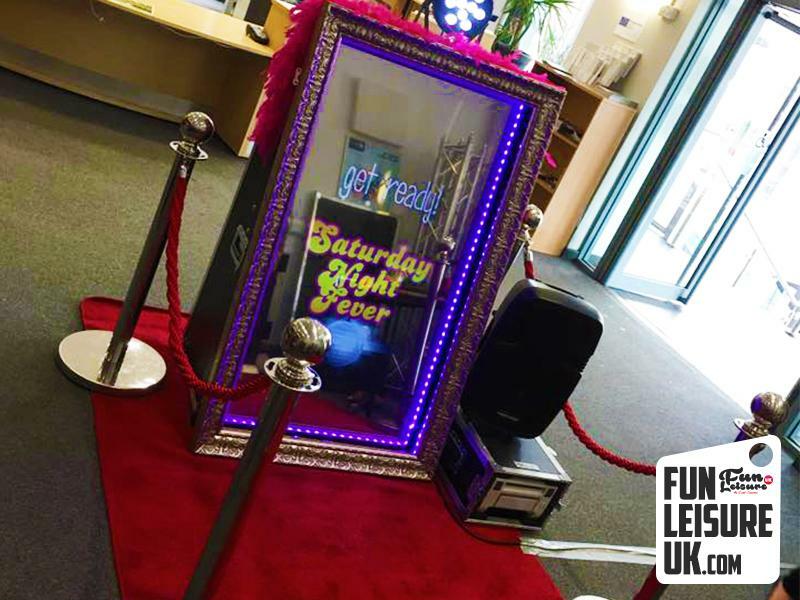 Whether it be a birthday party, christening or large function a selfie mirror allows for up to many 100’s of people to enjoy the props, the cheeky personality of the talking mirror and receive a print out to remember the night by. Each selfie mirror hire package comes with an operator to ensure the hire runs smoothly but also to assist with the printing of the photos. The selfie mirror is a fantastic idea for events that have a multitude of age ranges as it caters for young right through to old with ease with simple to more silly props! These are just three of our entertainment ideas perfect for your January or beyond event. Don’t worry if you’re not planning your event until later in the year, we will quote as competitively as possible as well as a guarantee, we’re the best in the business!